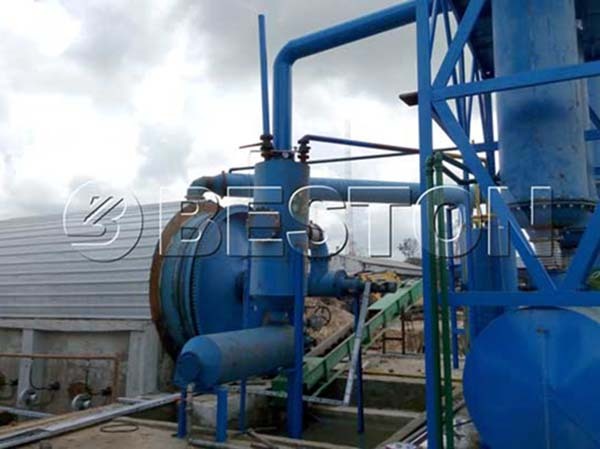 Beston mainly aims to recycle waste plastic in an environmental way, namely plastic pyrolysis plant, which can convert the waste plastics into oil, combustible gas, and the carbon black. As a professional waste plastic recycling plant manufacturer, we can meet our customers’ requirements well. First of all, we can offer you different models in plastic waste pyrolysis plant that work with different methods. For the small-scale plastic waste, you can consider using batch pyrolysis plant. It is affordable and safe. You can also consider the semi-continuous plastic pyrolysis plant. It works faster than the previous one and it is more affordable than a continuous plant. For the large scale plastic waste, a fully continuous plastic pyrolysis plant will be the right choice. Here are the specific parameters. 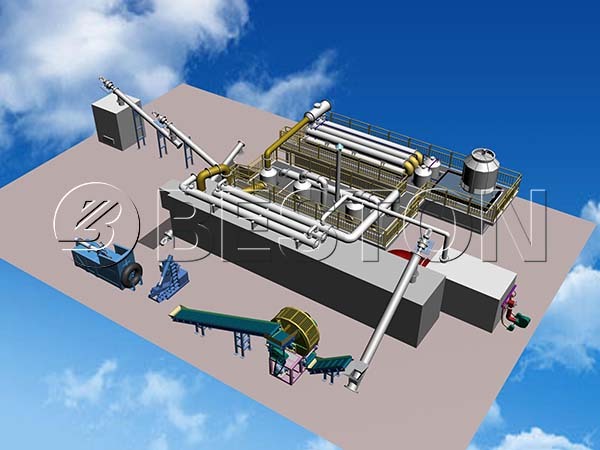 In addition to the above, you can use the waste plastic pyrolysis plant to recycle the waste rubber products, waste tyres, medical waste, and oil sludge. Welcome to visit our factory to know more about the available options. Before the plastic pyrolysis process starts, you need to check the condition of the plastic waste. The waste plastic needs drying first if the water content is more than 20%. The drying process can save you energy and time during pyrolysis. Meanwhile, the oil yield can be greatly improved. Then we need to put the plastic waste into the pyrolysis reactor. In terms of a batch plant, the materials are imported manually; while if you are looking for an efficient way, you can employ an auto feeder. When the temperature rises up to 160 degrees, the oil gas will appear. And 280 degrees to 350 degrees is the top oil yield rate interval. The produced oil gas will be separated by manifold. The heavy oil gas will be liquefied and drop down to the heavy oil tank. As for the light oil gas, it rises to the condenser and be liquefied, and then it will drop down to the oil tank. The combustible gas will be processed by the hydro seal system first. After that, we can reuse it to heat the reactor. Meanwhile, the carbon black will be discharged after being processed by the cooling system. Our Beston cooling system can make the high-temperature exhaust gas cool down quickly to meet the European emission standards. You will find that the whole waste plastic recycling process is free of contamination and energy-saving. That is also one reason that Beston waste plastic recycling plant is always preferred by customers around the world. As for the end products, you can sell the carbon black and plastic oil directly in the market. The combustible gas can be recycled to heat the reactor to reduce the energy cost. Moreover, if you want to reprocess the carbon black and the pyrolysis oil, you can visit us. We also have waste plastic to diesel plant and carbon black processing plant for sale. Here is a video showing the whole working process of Beston continuous waste plastic recycling plant. 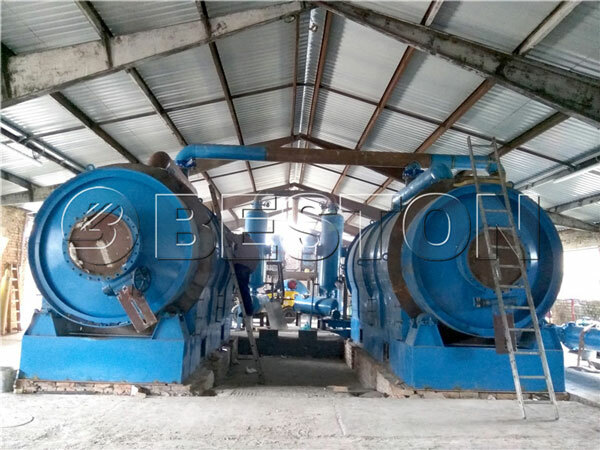 Beston (Henan) Machinery Co., Ltd has been the leader in the waste plastic recycling plant manufacturing field for many years. We have mature teams, including designing teams, manufacturing teams, and sales teams. in addition, we are professional in upgrading the latest waste plastic recycling technology. We use developed technologies and upgrade the system to enhance the experience of the users. You will find all the latest technologies and designs in our service. You can choose any types of the plastic recycling plants to get the best use of the waste plastic. Our professionals will always be there to offer any kind of help. You can send us an inquiry if you have the interest in waste plastic recycling machine cost. No matter what kind of machine you choose, either the plastic granules machine or the plastic waste pyrolysis plant, you can achieve the utilization of the plastic waste and make profits from the end products you get. 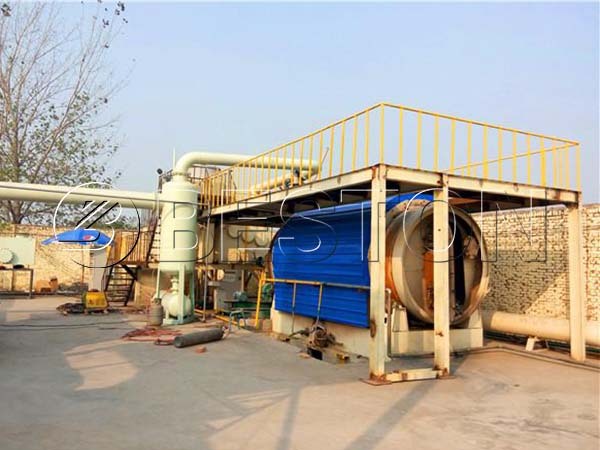 Moreover, we can also supply you other waste recycling plants, such as waste tyre recycling plant, waste oil refining plant and biomass waste carbonization plant. Get your inquiry now.